UX Day Graz is a non-smoking event. Smoking is not allowed inside university buildings. Smoking is allowed outside. 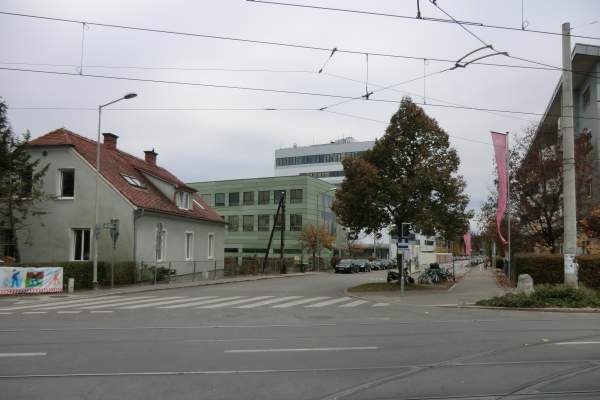 To reach the venue from the city centre by public transport, take tram line 6 to St. Peter Schulzentrum. 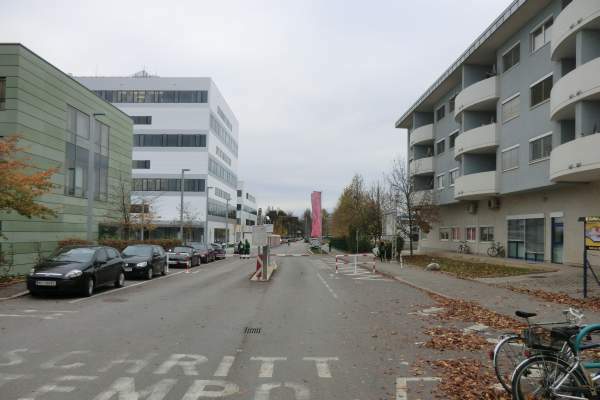 Some car parking will be available on campus in Inffeldgasse. 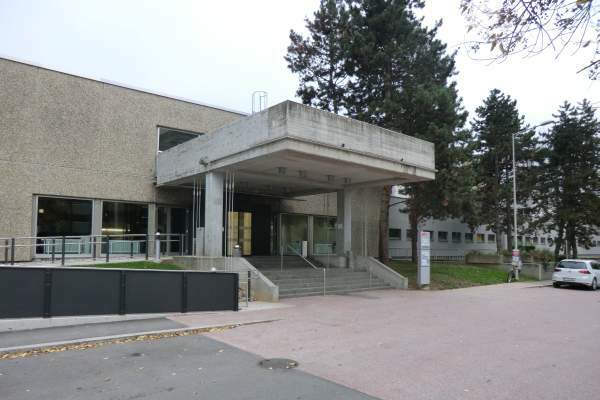 Use the main campus entrance at Inffeldgasse. If the barrier is closed, ring the bell and say that you are attending UX Day Graz. Entrance to Inffeldgasse campus. Photo © 2013 Keith Andrews. The barrier at the Inffeldgasse entrance. Ring the bell if it is closed. Photo © 2013 Keith Andrews. The conference venue, Inffeldgasse 25d. Photo © 2013 Keith Andrews.